Commercial Cleaning Services by DBS Building Solutions -RI Janitorial & Maintenance. Commercial Cleaning Services for your office, building or facility in Rhode Island. Over 750 Loyal Clients In MA, NJ, CT, RI and PA! No Long-Term Cleaning Contract! DBS has different crews in place covering different types of cleaning and maintenance needs throughout Rhode Island. 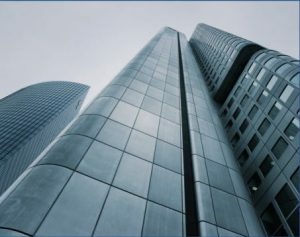 Rhode Island cleaning services & building maintenance for your office, facility or venue -DBS Building Solutions of Rhode Island. Taking care of all your cleaning and maintenance needs from general cleaning to floor maintenance to snow removal, DBS does it all! Commercial cleaning services including upkeep of facilities, office cleaning, healthcare, acilities cleaning, school cleaning, church building cleaning, car dealership cleaning, health club cleaning, bank cleaning and most types of facilities and buildings. Regular floor maintenance service for a variety of floors from vinyl, ceramic, hardwood, to concrete. Also window cleaning, air duct maintenance, painting, snow extraction, handyman work and light bulb replacement. DBS can complete special services also, upon request.